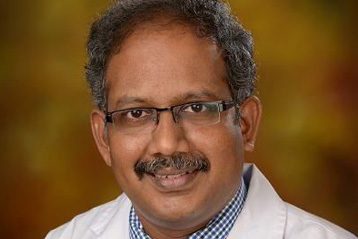 Department of Arthroscopy ( Key hole surgery / sports medicine) is headed by Dr.Clement Joseph. He completed MBBS in Chengalpat Medical College in Tamilnadu. He completed Post graduation in Orthopaedics and Traumatology in Kilpauk Medical College, Chennai. Following which he decided to get himself trained in sports surgery and he travelled to Finland and completed ESSKA Fellowship. He underwent Arthoroscopy, FAE Fellowship in Germany.. He also travelled to Italy and completed Shoulder Fellowship. Since then Dr.Clement Joseph has been involved in a lot of academic and teaching programmes for young surgeons all over the country. He attended training sessions by PETER CAMPBELL of Australia, TIMO JARVELA of Finland, GOSIPPE PORCELLINI of Italy and DAVID.V.RAJAN of South India. He is an active member of International Society of Arthroscopy – Knee & Shoulder, (isakos), Founder Member of Tamil-Nadu Arthroscopy society. SPECIAL INTREST: ACL / PCL FIXATION THROUGH ARTHROSCOPY / KEY HOLE SHOULDER SURGERY. Copyrights © 2015 globalorthoHospital. All rights reserved.